Career services helps students and alumni with resumes, career choices, internships, and other real world situations. Taking a left at the top of the stairs in the Student Center and walking down the hall, students find themselves by room 235: the Career Services office. Career Services is an organization that helps students prepare for real life career situations. The office has been around since 2012 but has not gained publicity among students. 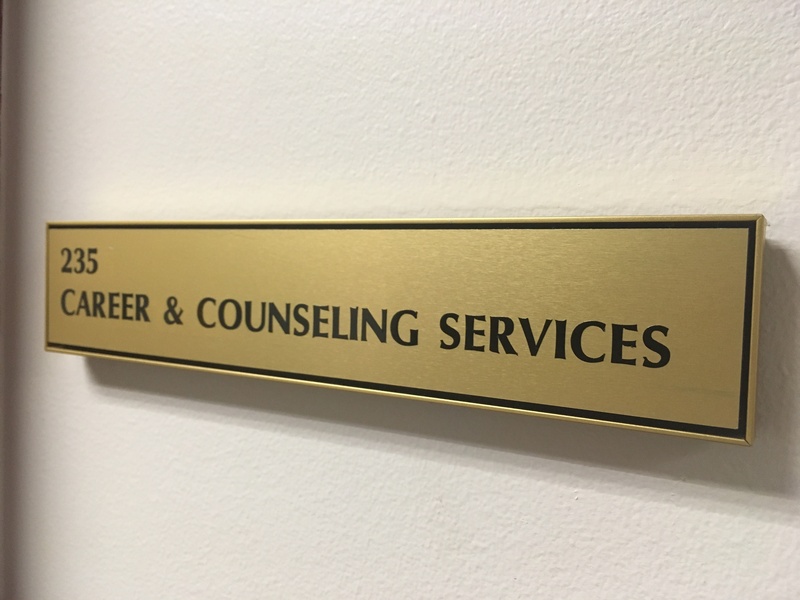 The Career Services office offers coaching, resume review and workshops for all students and alumni who need help in the job or internship search. Career Coaches are available to meet with students and help them with any career-related questions or tasks such as how to build a resume or effectively use LinkedIn. Professional development coaches meet with on campus clients in their cubicles and help them step by step. The coaches benefit from encounters with students as well. Klein’s cubicle has a section on the wall where she has printed out and pinned up compliments from clients. The Careers app can be found in the app store by simply searching “careers.” Dec. 2017. Screenshot by Shelly Slocum. Saranette Williams, Director of Career Services, specializes in helping alumni find work. For the 20,000+ alumni of Regent University, the number one hiring organization is Regent University itself. Career Services advertises itself by hosting Online Information Sessions, which will be getting a new name under Career Services soon.